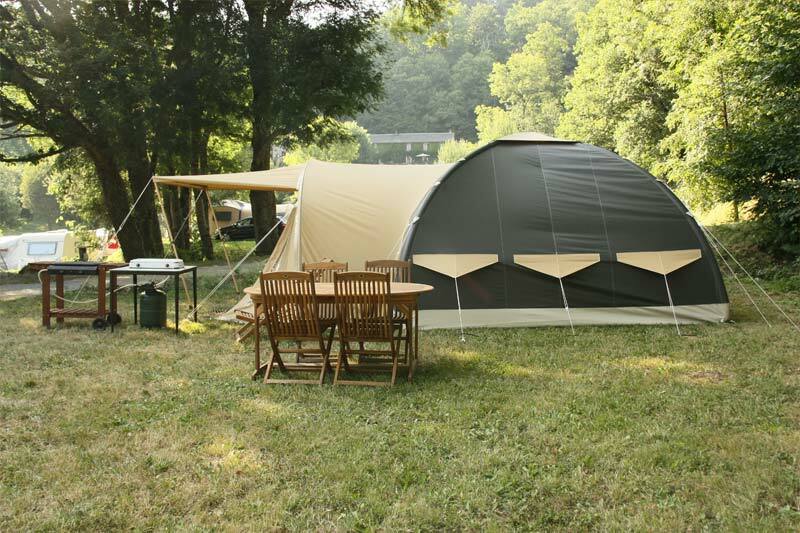 The Karsten tents give you the real camping experience with the luxury that they are fully equipped. 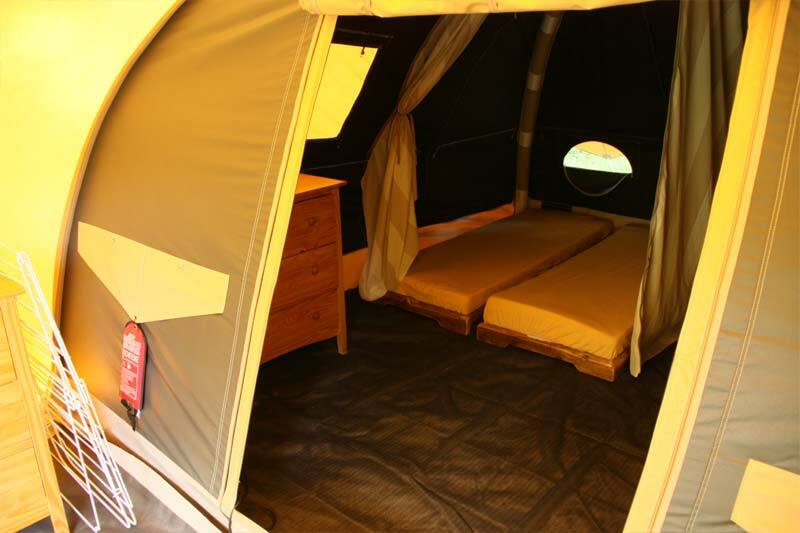 These inflatable tents are spread over the campsite between the other pitches. 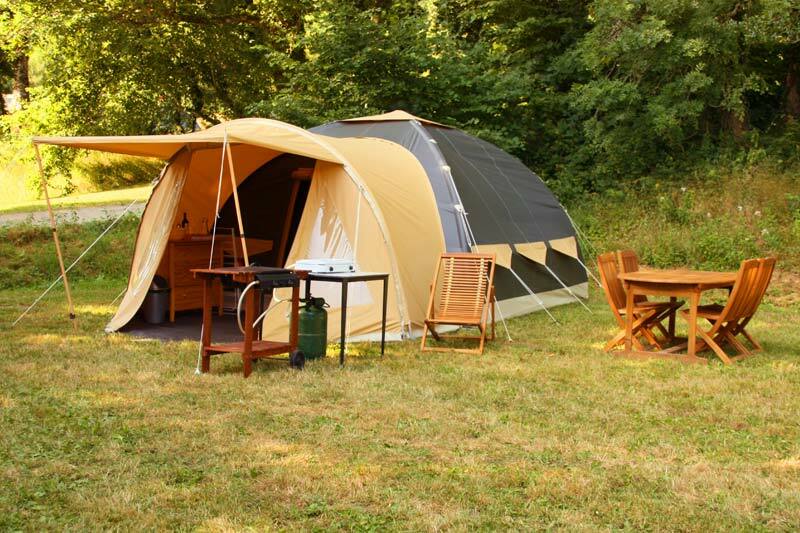 In our fully equipped De Waard tents you can enjoy the pleasure of camping without having to bring your own camping equipment. 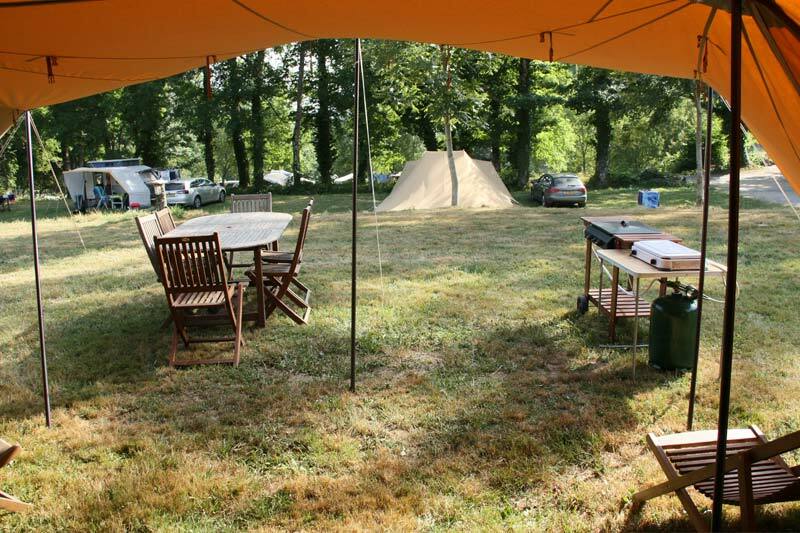 You can find the tents spread over the campsite between the other pitches. 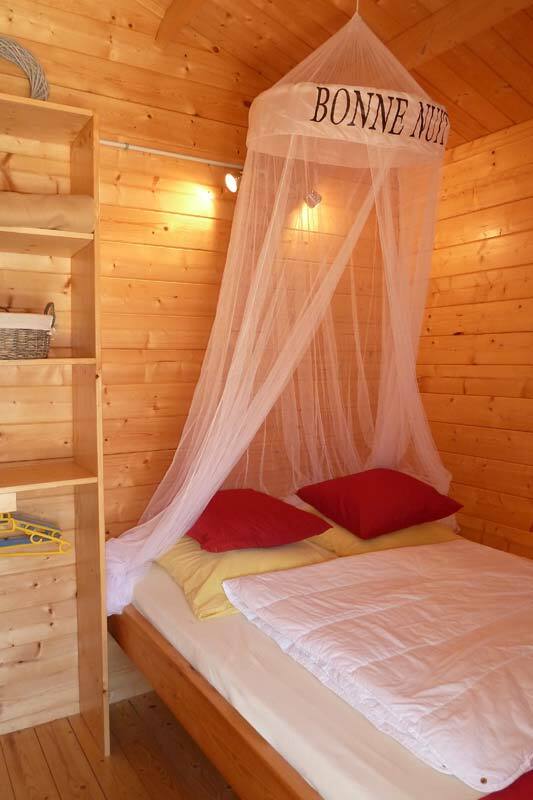 Our cozy chalets offer you a comfortable way to stay at the campsite. 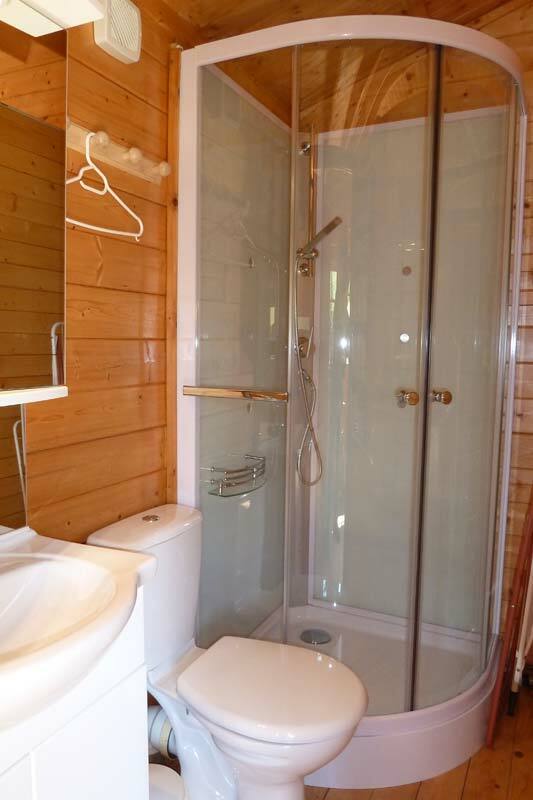 They are fully furnished for four persons and have their own sanitary. 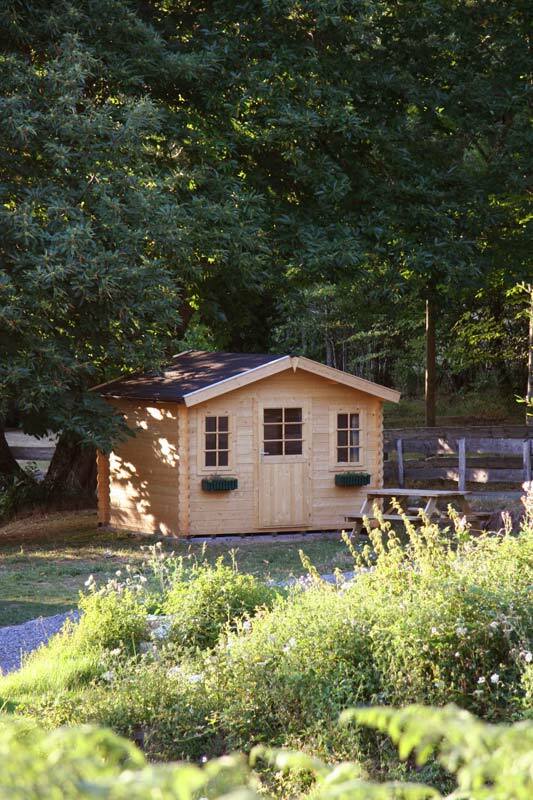 The cabins are a simple and affordable way to stay one or more nights on the campsite. 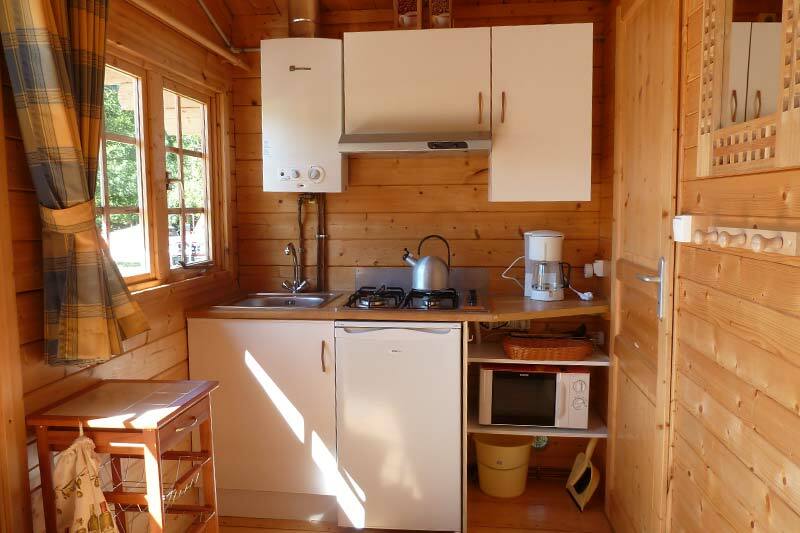 These wooden chalets of 9 sqm are cozy and compact. The total covered area is 24 m² . 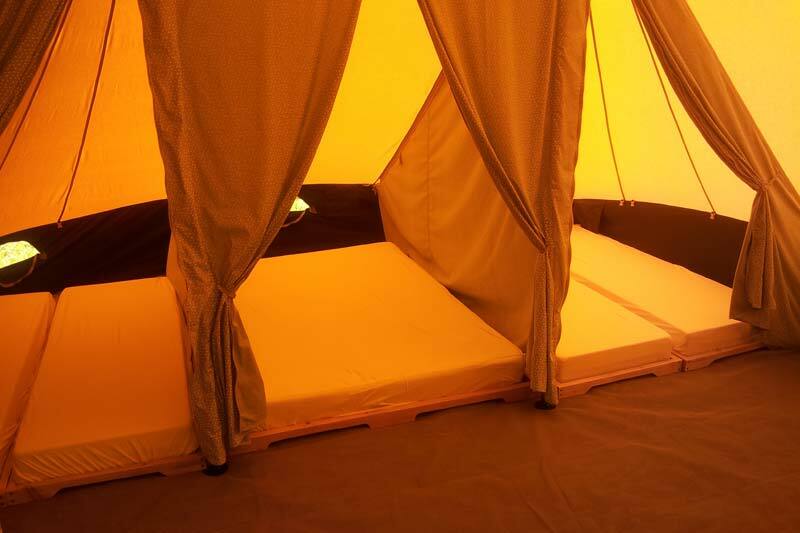 In this surface there are two sleeping compartments, a living area, an awning and a canopy. 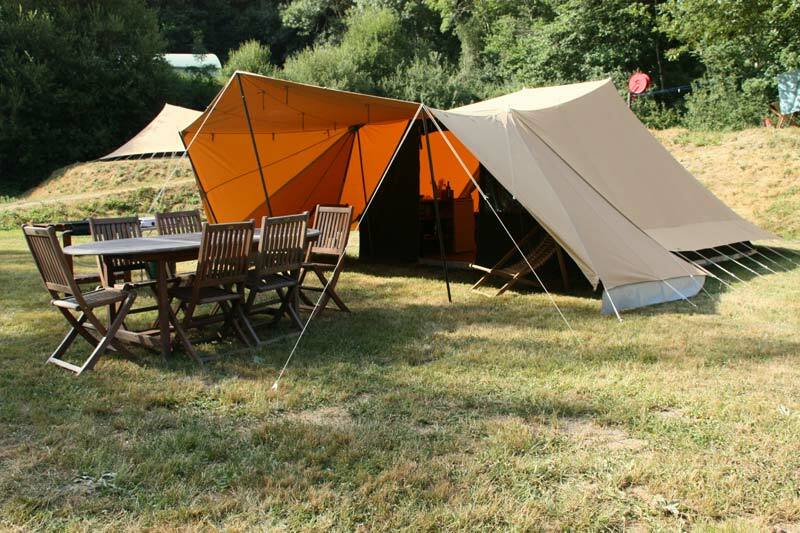 Our Karsten tens are originally six-person tents, but for some extra comfort we have equipped them for four persons. What do you bring yourself? 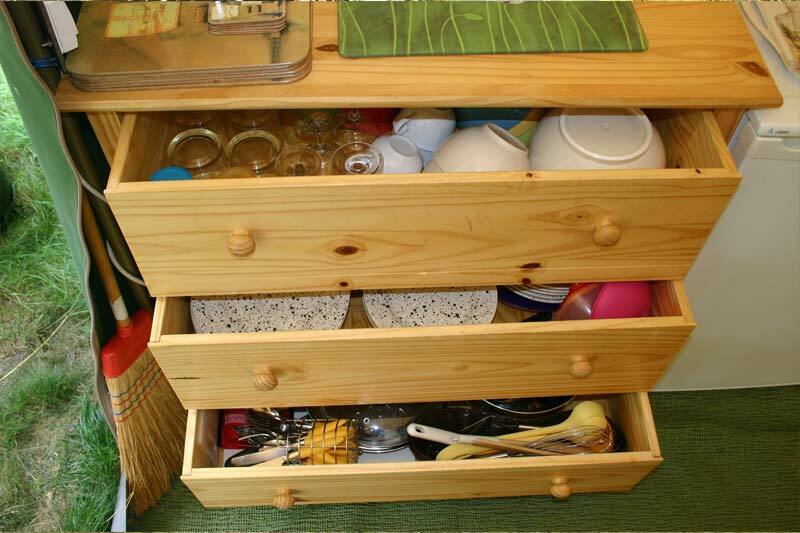 The only things you bring yourself are linen for the mattresses/duvets/pillows, towels, tea towels and personal items. 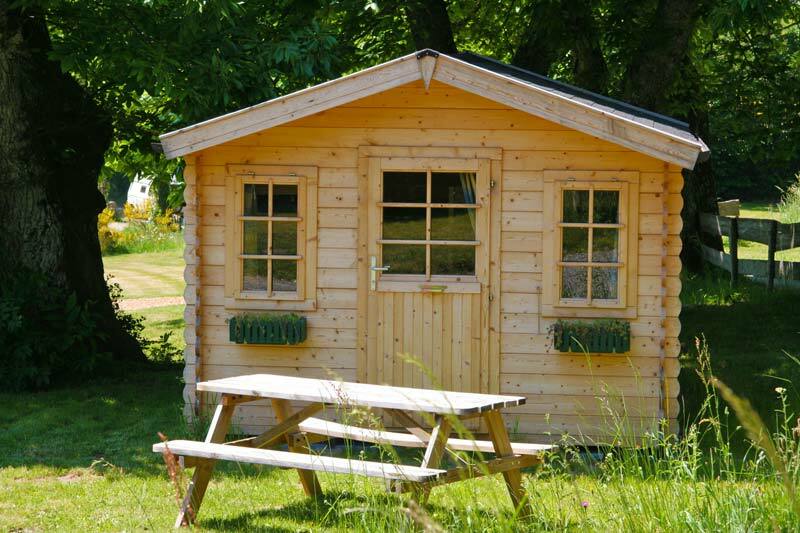 Arrival and departure from 13/7 till 17/8 only on Saturday and/or Wednesday (minimum of 7 nights). 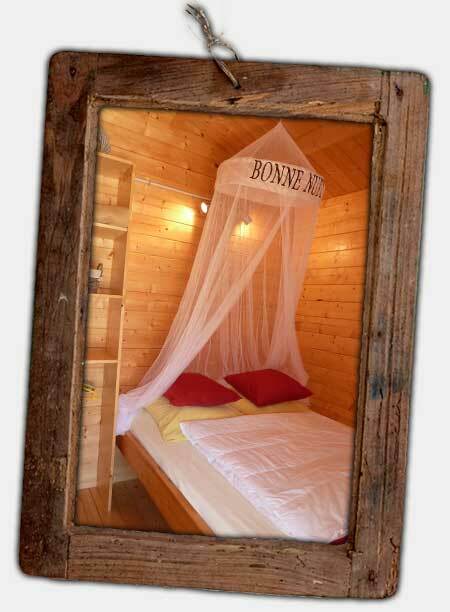 Outside this period arrival and departure is possible on all days (minimum of 2 nights). 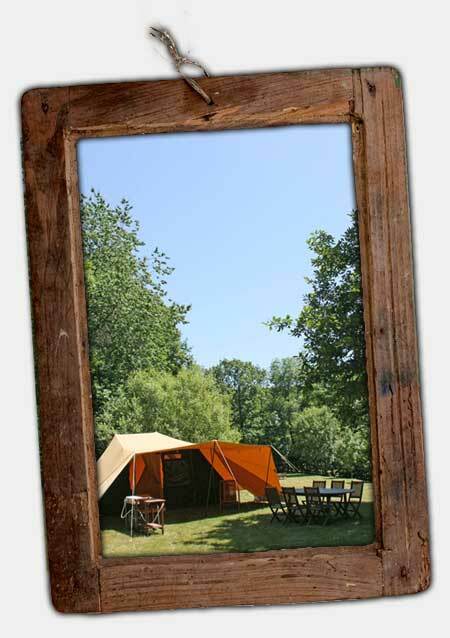 The 6-persons De Waard tent has a main tent of more than 21 m² (4.5 x 4.75 meters). 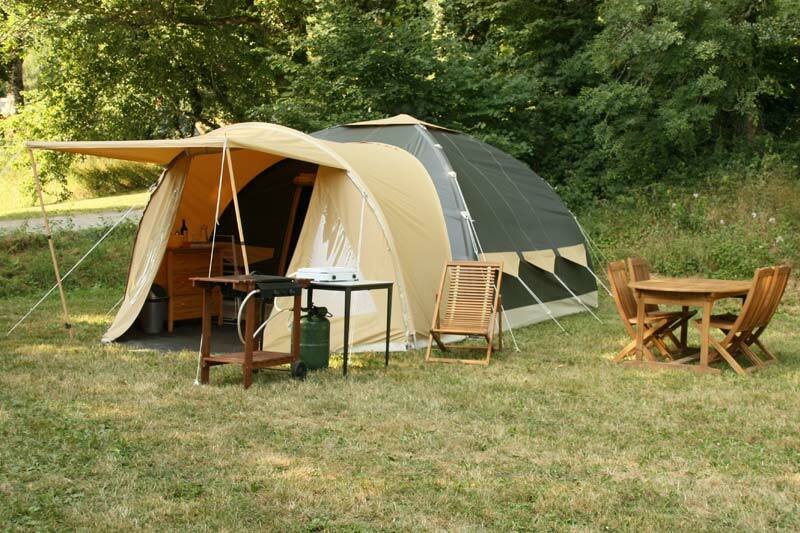 The tent has three sleeping compartments and a living space of 9 m². 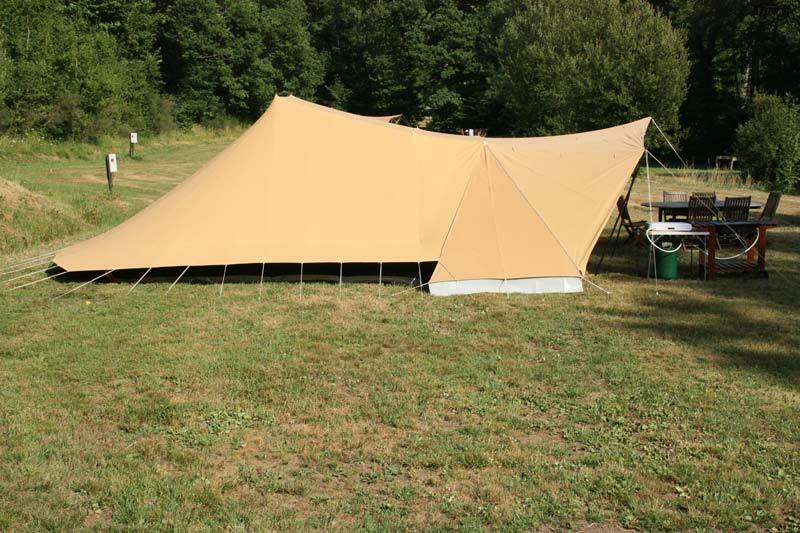 In addition, this tent has a vario canopy of 2.5 x 4.5 meters. Living room: Wooden seating area with pillows and a table. 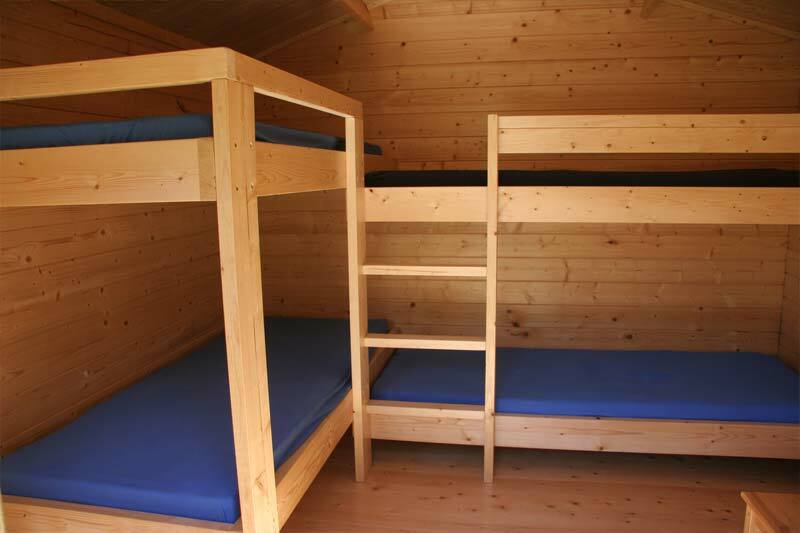 Bedrooms: There is a bedroom with a double bed (1,60 x 2 meters) and a bedroom with a bunk bed (0,90 x 2 meter) for two persons. Duvets and pillows are provided. 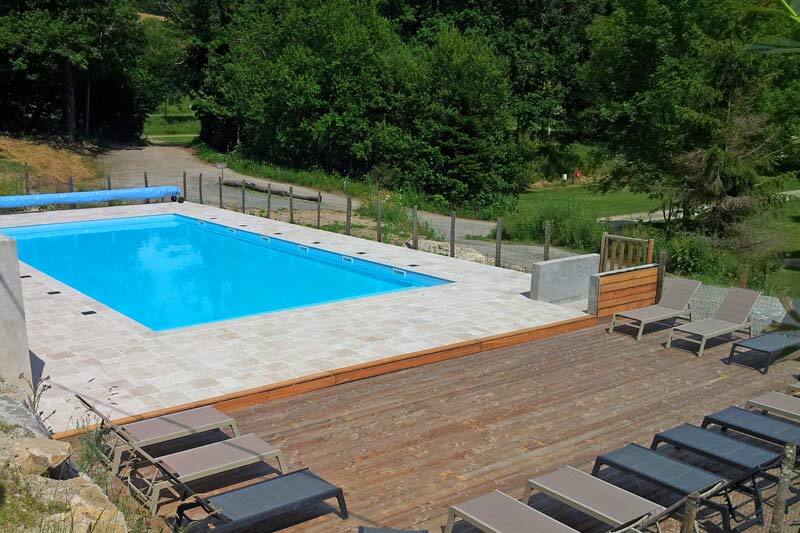 Outside: Outside there is a wooden terrace and in front of the chalet there is a tiled terrace. 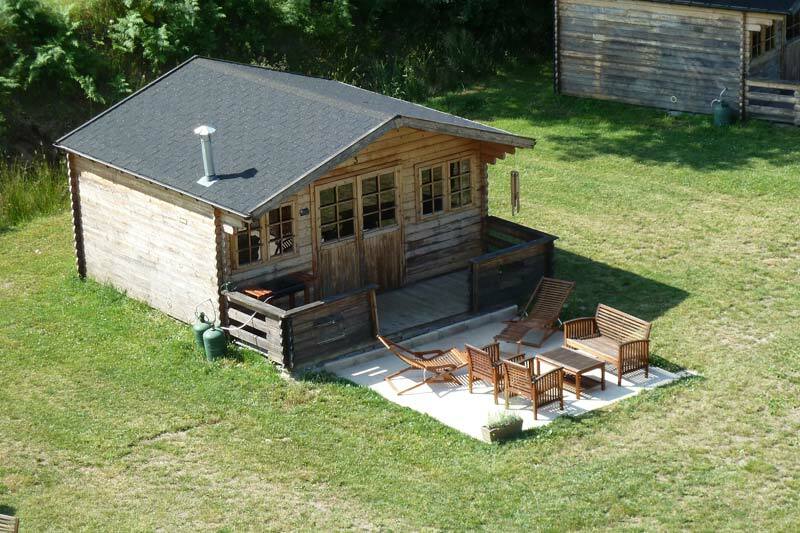 Also present are a gas grill, wooden furniture, a relaxing chair and a parasol. Next to the chalet there is a parking spot. 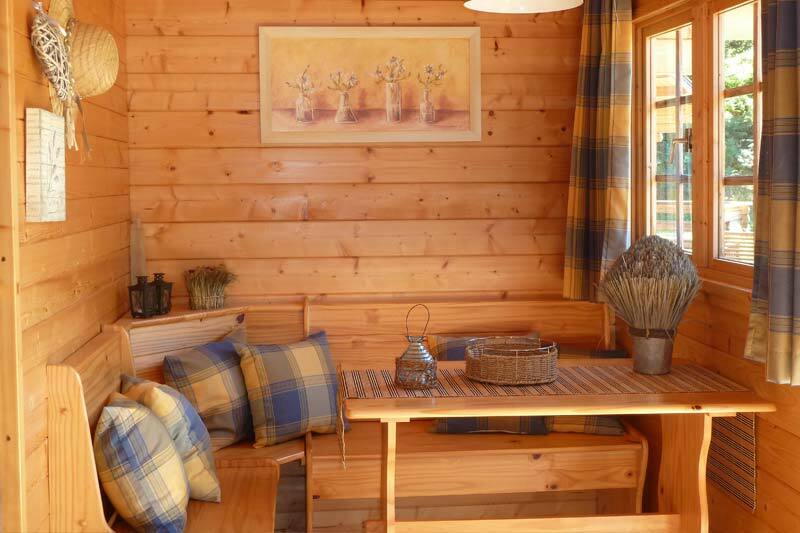 A cabin is a cozy and compact chalet with an surface of 9 m². 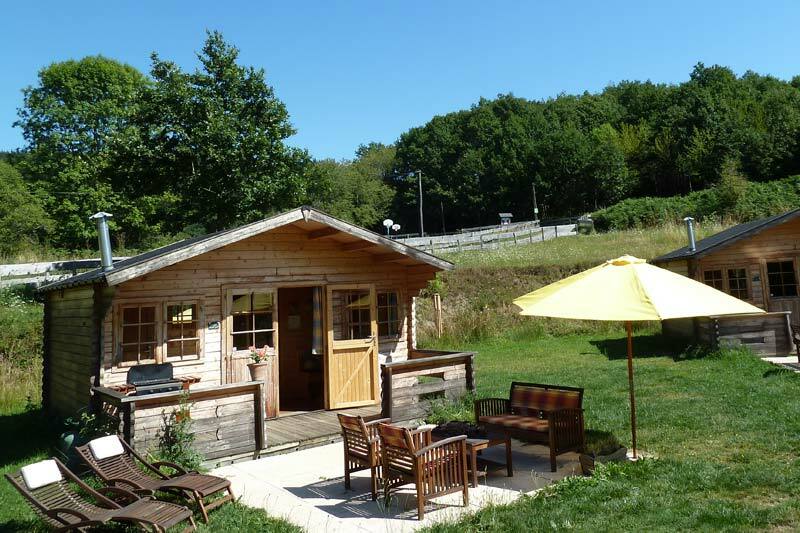 This chalet offers place for four people. 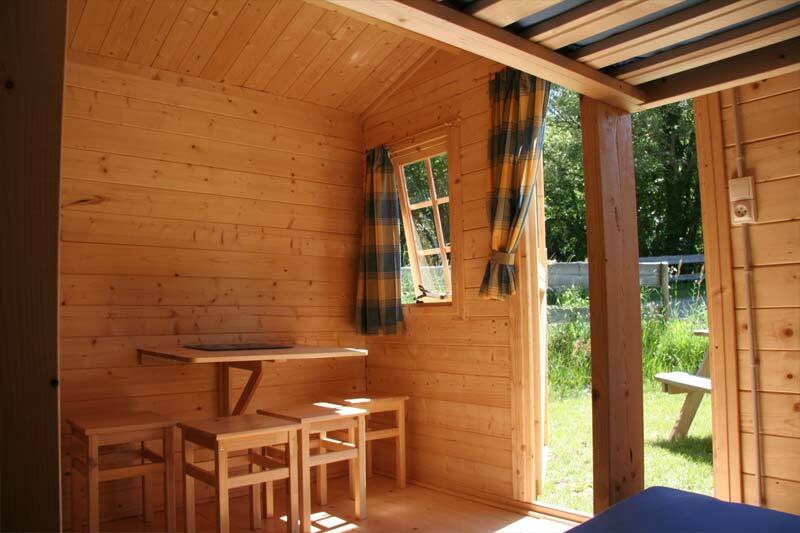 The cabins are an ideal way to stay simple and affordable for one or more nights whether you travel by bike, motor, or car. 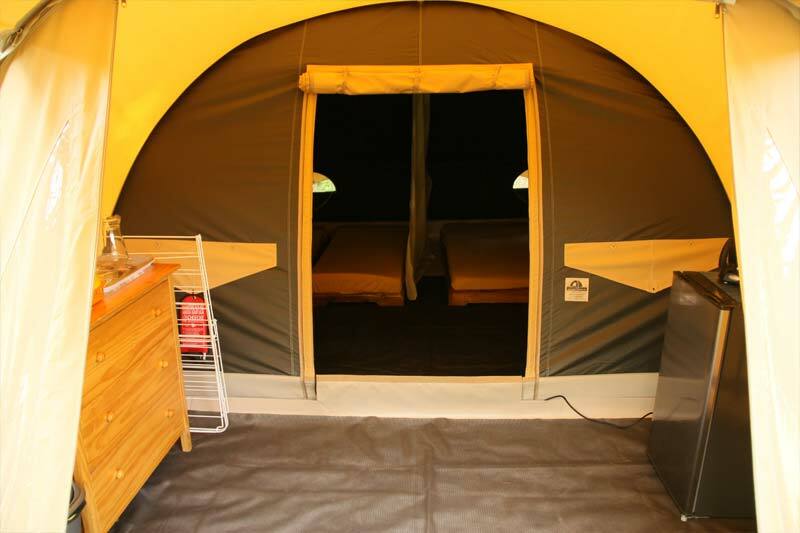 Do you camp in a tent? And you want to pack everything dry and clean to leave early the next morning? 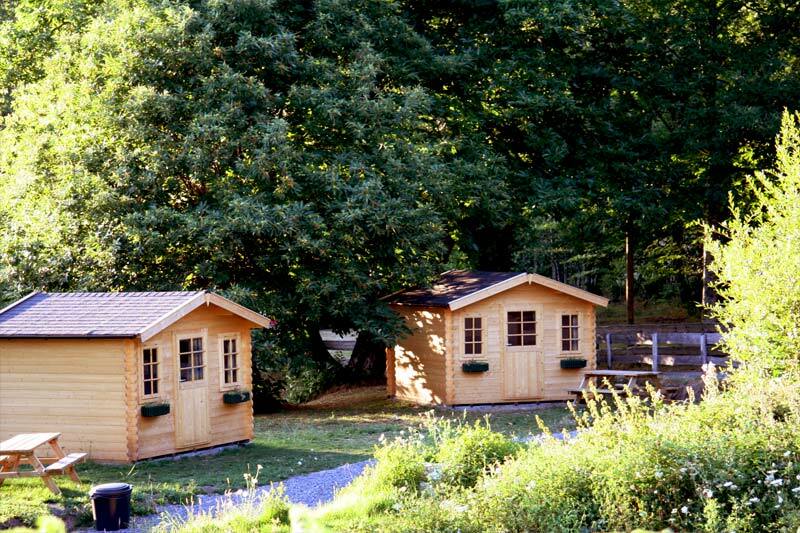 After packing you can calmly spend the night in one of our cabins. 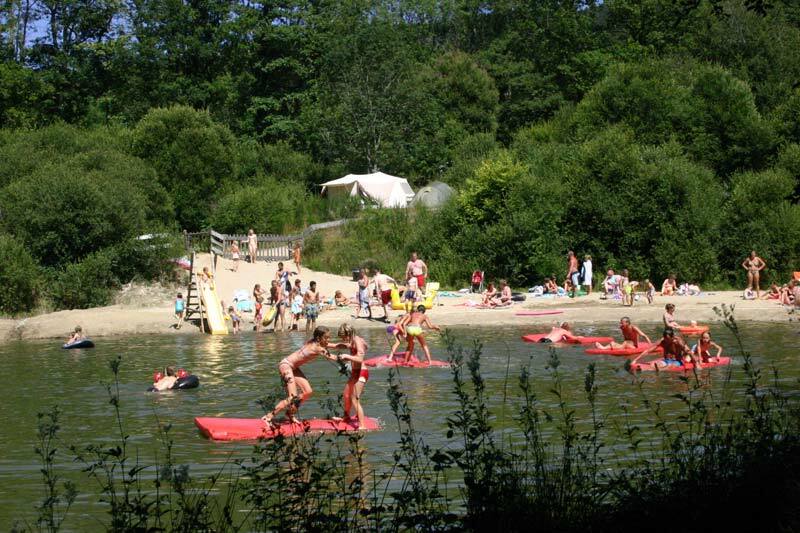 Sanitary facilities like hot showers and toilets are available in the sanitary building on the camping. Mattress covers, sleeping bags, pillows, towels and personal items.